Pointe at Troy is a 108-unit Class A student housing community serving Troy University in Troy, Alabama. 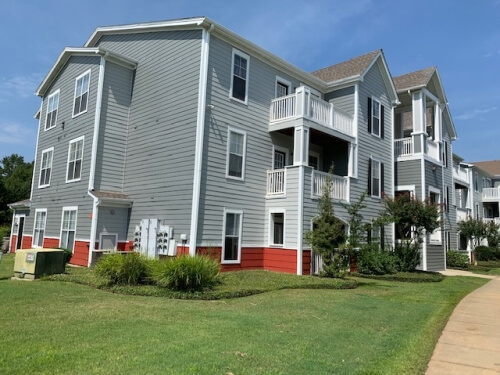 The property consists of 408-beds and is adjacent to campus, placing student within walking or biking distance to all university classrooms, athletic facilities, as well as numerous restaurants and retail establishments. The property was developed in 2001. Troy University was named in the Princeton Review’s “Best in the Southeast” list of universities in 2017 for its 13th year in a row. Troy University is the flagship of the Troy University System which is comprised of four campuses located in Troy, Dothan, Montgomery, and Phenix City. Troy University’s main campus is home to 7900 students and offers 46 bachelor’s degree programs and 22 Master’s programs. Immediately after closing, ApexOne has begun a property enhancement program to improve curb appeal and upgrade the community amenity package.